Changing the style of your hair can be such a confidence booster and also change your whole appearance. It can be hard to find the perfect style to suit you. Anything from your face shape to hair type can affect what kind of style you should opt for so we’ve rounded up some of the best celeb short styles for you to consider as well as the best cuts for you. There are so many famous faces looking fabulous with their short cuts! We love how these celebs have embraced their crop styles, we might even copy them for ourselves! This pixie crop is the perfect style for our favourite leading lady. It’s great if your hair is thinning too, as the messy texture of the style will prevent your hair looking flat or thin. Suits all hair types and anyone who wants a low-maintenance do. Ask your hairdresser for short, textured layers. If you have long or mid-length hair, then it’s best to go short gradually. She’s had long hair, tumbling curls and even pink hair, but Helen’s latest look is our favourite. This slightly disheveled update of her signature bob looks modern, fresh and is easy to copy. Suits most naturally straight hair types. Ask your hairdresser for a short bob, with a few short layers to help cheat some texture. Tip Leave your hair to dry naturally or rough dry it on the low heat setting, before finishing with a little wax to define the ends. Her trademark sleek bob and fringe have always left us envious and we also love her latest locks! Gone is the short angular fringe and instead a softer, longer, side-swept fringe flatters her face, making her look years younger. Suits thick hair types and those who want to grow out a fringe or short layers. Ask your hairdresser for a longer bob, with a slight side parting and a sweeping fringe. Elegant and polished, we love Darcey with a fringe. Copy her style and avoid anything heavy, short or structured and instead go for a longer fringe that’s softly feathered. Suits thin and fine hair types. Ask your hairdresser for a shoulder-length cut, with some long layers and a soft, longer fringe. With her softly layered cut and long swooping fringe, Dame Emma Thompson steals the show with this polished and flattering look. “It’s perfect for straight and fuller hair. If yours is thinner go for something a little shorter, but avoid this look completely if you have curly locks,” says Phil. Ask your hairdresser for a long crop with side-sweeping fringe. We love The Crown’s Olivia Colman’s low-maintenance elfin cut, which suits her perfectly. “This type of crop works best with hair that isn’t too thick,” says Phil. “There might not be a lot of hair here, but too thick and it can be tricky to control.” Ask your hairdresser for a classic pixie crop. With bouncy curls and lots of volume, we love this look on Benidorm star Sherrie Hewson. “This style suits most hair types including fine, thick, curly or straight,” says Phil. “It works best on those with long or heart-shaped faces though, so if you have a round face shape a slightly longer version will suit you better.” Ask your hairdresser for a shoulder-length bob with layers for extra movement. Finding the perfect hairstyle to compliment your face shape can be hard. You’ll first need to decide what face shape you are. Take a look at the images above and think about which matches your face most. Round - the face will be a similar diameter all the way across with little definition of the jaw. If you want to go really short, something like Olivia Colman’s pixie cut would look fabulous. Heart - the chin will be a lot slimmer than your forehead in a kind of upside-down triangle. Something similar to the style of Sherrie Hewson’s shoulder-length bob would look great. Square - the jaw line will be defined and the same width as the forehead. A long-bob like Dawn French’s with a sweeping fringe would suit this shape. Oval - the face will be more elongated than a round face with a more pointed chin and higher hairline. This face shape suits most styles including Judi Dench’s crop cut to Darcy Bussell’s effortless shoulder-length cut. Fine - If you want to go very short, try something like Judi Dench’s do which requires little maintenance and effort to appear thicker. For a longer style, Darcy Bussell’s feathery cut suits thinner hair types perfectly. Thick - Fuller hair would look great in a style similar to Dawn French’s showing off its structure, volume and shine. 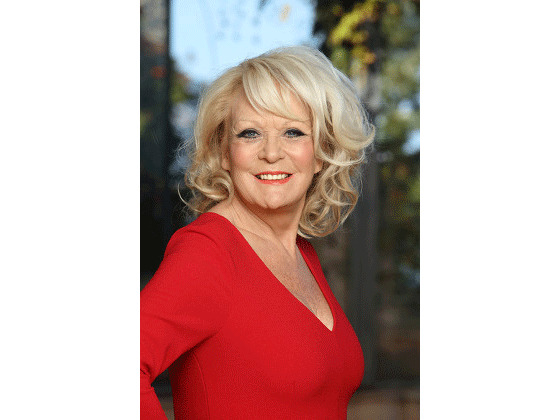 Sherrie Hewson’s style is full of volume at the root making it an ideal style for those with a thicker head of hair. Curly - If you prefer to keep your hair naturally curly, a Darcy Bussell style would require little maintenance to look stylish. Straight - Emma Thompson styles her straight hair perfectly with her crop and sweeping fringe, great for naturally straight hair.